Born in 1965, the Design & Shoe Academy ("Training Center for the Shoe Industry") as the name indicates as per mission the workers qualification at industrial activity. The first institution activity was based on short training courses related with footwear's stitching, cutting and shaping. 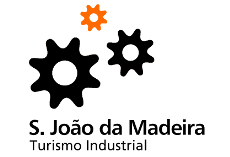 In 1974 its actual headquarters was inaugurated and it was possible to follow the footwear industry development that Portugal faced in that decade. Different training centers started activity around the country. Later, particularly since the 80's, it was possible to have a great response to new challenges. Nowadays it's being developed an educational policy that preserves the technique and combines it with design and brand concepts. It's very important to have a good training in order to face an increasingly demanding global market. That's the main reason why CFPIC focus its efforts to present a high quality training and provide the best equipments available. As a result, its students usually are highlighted on international design and innovation contests.